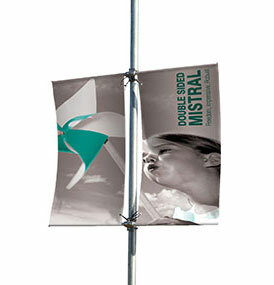 Wall and post mounted banners are designed to be mounted to existing posts i.e. lamp posts etc.. or directly to a wall allowing the banner to project from the wall by means of mounting arms as shown in the images. 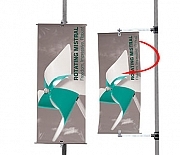 If mounting to posts, it is important that you make us aware of the post diameter to ensure we supply the correct length of banding straps. 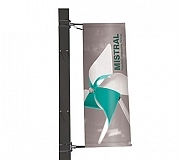 Post mounted banners are a popular choice for street events, supermarket banners and often used for car showroom outdoor advertising. We can supply replacement prints allowing you to change the message without the cost of a new system.